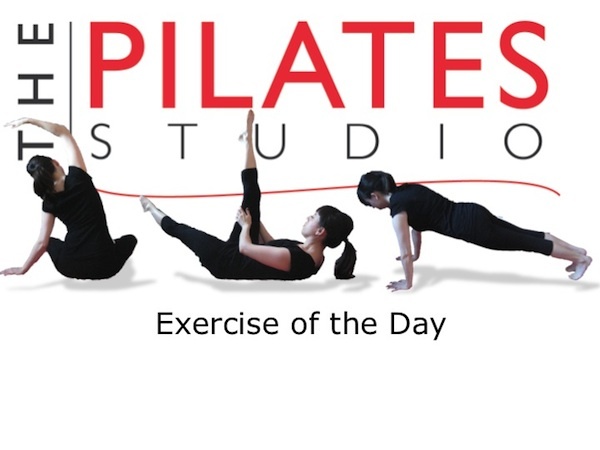 This exercise is a Pilates Classic that adds some movement to the plank. To do this exercise you will need a mat. Start in a quadruped position. 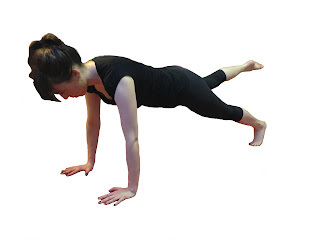 Inhale to prepare and then exhale as you lengthen one leg and then the other behind you into a plank position. Inhale at this point and then exhale as you lift one leg into the air. Inhale again to replace the leg and exhale as you lift the other leg into the air. Repeat 8-10 times on alternating sides. The Plank and any subsequent exercises rely largely on support for the spine. If you lose the length of the spine when the legs lift you will be placing your back in danger. As you exhale imagine that your head is reaching even farther away from your heel. You are lengthening your leg away from the body.